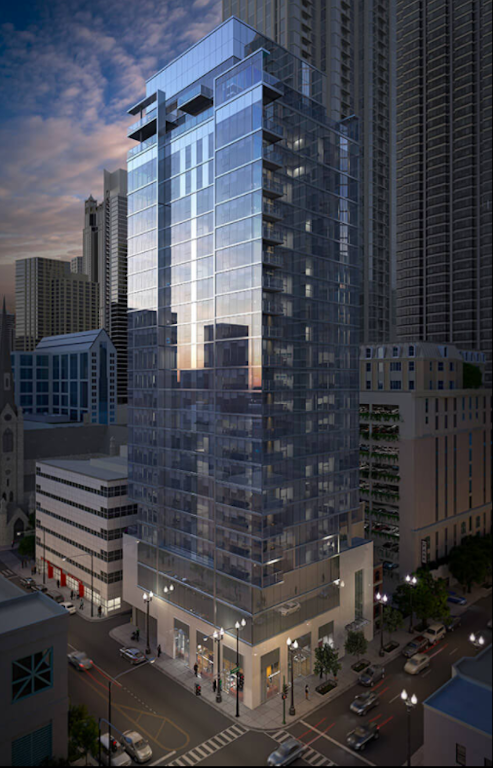 Construction at the corner of Huron and State Street is moving swiftly, as 8 East Huron brand new River North luxury apartments move closer to its Fall 2017 delivery. 8 East Huron residents will have access to tremendous amenities not typically found in boutique apartment buildings in downtown Chicago: Fitness Center with Fitness On Demand™,Fully Integrated Demonstration Kitchen, Garage Parking (Additional),Penthouse-Level Outdoor Infinity Pool with Fountains, Pet Spa with Grooming Station and Dog Run,Private Grilling Stations,Private Media Room Featuring 85" Sony TV,Resident Lounge with Folding Glass Walls, 1GB Wi-Fi Access Provided Throughout, Art Collection Curated by Chicago Art Source, Custom Millwork and Italian Tile Flooring Throughout, Dedicated Concierge Services,Lobby Featuring Calacatta Marble and Custom Millwork, Non-Smoking Throughout, and VingCard Essence Electronic Locks. Best Eclisse Series Island Range Hood, Custom Closet Systems,Floor to Ceiling Windows,Grey Tone Wide-Plank Flooring Throughout,Integrated USB Ports for Full Connectivity,Kohler and Grohe Kitchen & Bath Fixtures,Marble Mist Quartz Waterfall Countertops, Solar Shades on All Windows,Virginia Tile Co. Ceramic Backsplash,Whirlpool 5-Burner Gas Range,Whirlpool French Door Refrigerator,Whirlpool Full-Size Stackable Washer & Dryers,Whirlpool Side by Side Washer & Dryer (2 Bedrooms), and Whirlpool Stainless Steel Dishwasher. 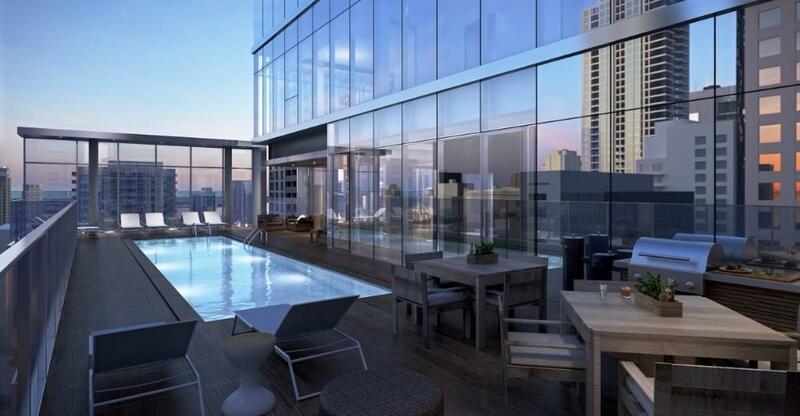 *Penthouse Collection Units Have More Unit Features. **Select floor plans feature an extra half bathroom. 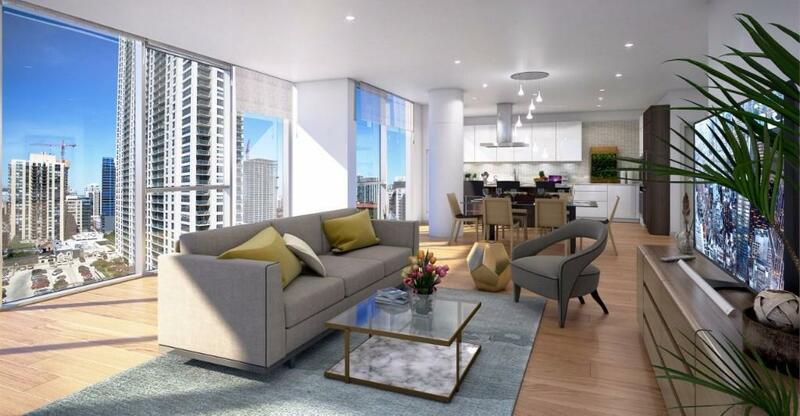 Located on the border of the River North and Gold Coast neighborhoods, residents will be close to Michigan Avenue. Positioned within the Cathedral District, 8 East Huron is steps from a Whole Foods, Flywheel, Pure Barre, Blowtique, Jonathan Adler and the Bloomingdale’s Home Store. 8 East Huron features 2,600 square feet of retail space on the ground floor. Three Bedroom Penthouse Apartment pricing starts at $13,995 *Pricing and availability are subject to change.